Breaking Point: How Much Blood Can The Human Body Lose? The sight of it causes anxiety, alarm, and sometimes even fainting. But without it, there would be no transport of oxygen, regulation of temperature, or metabolism. This substance plays a key role in our immune system, and supplies the tissues of our body with the nutrients they need. 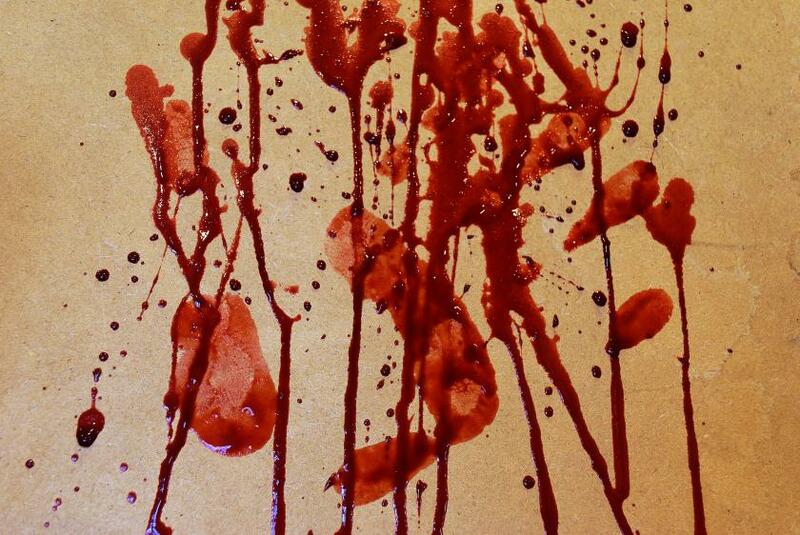 I’m talking, of course, about blood — the most important bodily fluid we possess. Our bodies would be incapable of running without blood, since it is responsible for so many of the things that make us functional. The reason the sight of it can cause so much distress, however, is because blood is supposed to stay inside of us — seeing blood means something is wrong. But what exactly happens when we start to lose blood? What happens when the fluid that is quite literally our life force begins to flow out of us one way or another? Sometimes blood loss is so inconsequential we barely notice — a nick while shaving, the prick of a finger — but what about the times when blood loss is so great that our bodies begin to suffer serious consequences? Without blood properly performing its duties, we humans are in a fair bit of trouble. Below, take a look at what happens when we lose blood, how we’re in danger of losing it fastest, and how much we can lose before the damage is irreversible. The technical word for blood loss is hemorrhage, which is defined as the escape of blood from the circulatory system through a ruptured blood vessel. Hemorrhaging can occur both inside (internal bleeding) and outside the body. It’s quite easy to make a person bleed, really, since anything from blunt trauma to fractures to incisions and abrasions can cause our blood to start flowing in ways that it shouldn’t. Most of the time when we experience outer blood loss, we can take care of the damage pretty easily by ourselves. Scrapes and cuts from everyday life require only some pressure and cleaning before they’re ready to heal up, leaving nothing, not even a small scar, behind. Some areas of the body, however, are more vulnerable than others to dangerous blood loss. “Blood loss occurs fastest when a major artery is cut,” Dr. Joe Alton, a fellow of the American College of Surgeons and co-author of The Survival Medicine Handbook, told Medical Daily in an email. Alton points to several blood vessels that could cause severe bleeding, including the jugular vein in the neck, the brachial artery in the armpit, and the many branches of the aorta located in the torso. The femoral artery may be king, though, when it comes to rapid blood loss. “Opening the femoral artery (located in the thigh) would result in bleeding so severe that unconsciousness would occur in a minute and death within several minutes,” Alton said. It’s not too difficult to find a way to bleed out, but what happens when we do? According to the American College of Surgeons’ Advanced Trauma Life Support (ATLS), hemorrhaging can be divided into four classifications of severity. The first class is the least severe, concerning a hemorrhage equal to or lesser than 15 percent of the body’s total blood volume. For reference, when a person donates blood, about eight to 10 percent of the body’s blood is removed. There are generally no symptoms of blood loss at this point, though some may feel slightly faint. The next level of blood loss occurs with the Class 3 hemorrhage, which references loss of 30 to 40 percent of total blood volume. This could be around 3 to 4 pints of blood, for those keeping track. Blood transfusion is usually necessary with a hemorrhage of this magnitude, according to Alton. The final classification of hemorrhaging, Class 4, occurs when a person loses over 40 percent of their blood volume. A hemorrhage so severe requires immediate and major resuscitative help, or else the strain on the body’s circulatory system will be too great to survive. The heart will no longer be able to maintain blood pressure and circulation, Alton said, so organs will fail and the patient will slip into a comatose state preceding death. This condition is called hypovolemic shock, and the prognosis depends on many factors, including the amount of blood lost, the rate at which a patient is losing it, and the illness or injury underlying the blood loss. Though the dangers of severe bleeding are obvious, the body does have some defenses in place to try and survive. The reason we get so pale when losing blood is not simply because there is less blood in our body, but because of a process called vasoconstriction. Not unlike the survival response to large amounts of pressure acting on the body, cardiac output is redistributed from less important areas of the body to the brain and torso. The body is trying to keep blood where it belongs, so it makes sense that our first-aid for hemorrhaging should follow the same model. Applying pressure with a sterile bandage or cloth and raising the injury above the level of the heart are two good first steps in attempting to control bleeding. If all other methods have been exhausted, a tourniquet can be applied to the bleeding extremity. Using tourniquets, however, is controversial due to possibility of damaging tissue. For this reason, only those trained to use a tourniquet should attempt to apply one.